A Parkinson’s disease genetic risk variant, called rs1109303, might have a direct impact on the expression of nearby genes INPP5K and CRK, influencing disease risk and progression, a study suggests. The study, “Parkinson’s Disease Risk Variant rs1109303 Regulates the Expression of INPP5K and CRK in Human Brain,” was published in Neuroscience Bulletin. 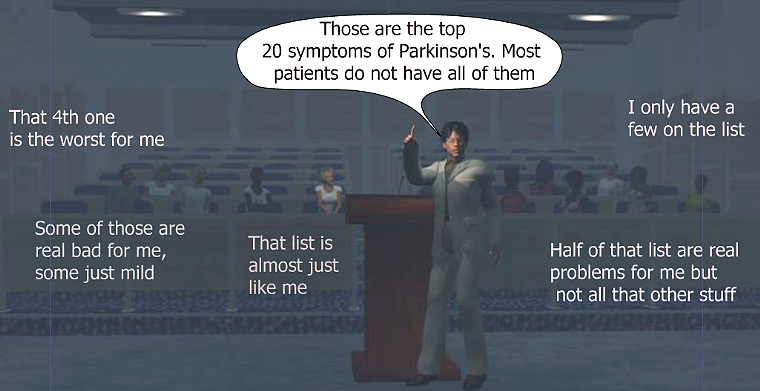 Parkinson’s disease, the second most prevalent neurodegenerative disorder in the elderly, affects 1-2% of people over the age of 65 worldwide, and is characterized by the gradual loss of muscle control, sometimes accompanied by cognitive deficits. Previous large-scale genome-wide association studies (GWAS) identified several genes that increase a person’s predisposition toward developing Parkinson’s, including SNCA, MAPT, NUCKS1, the HLA region, GAK, BST1, GBA, WNT3, RIT2, and LRRK2. GWAS are studies based on a method that scans the genome (all of the genes present in our DNA) looking for specific types of genetic alterations found more frequently in people with a particular disease. Besides genetic risk factors, studies have reported that uric acid (urate) levels in blood serum may also contribute to increasing an individual’s susceptibility to Parkinson’s. In 2015, a GWAS study found a direct association between urate levels and the rs1109303 risk variant, which is located within the noncoding sequence — regions that do not encode protein sequences — of the INPP5K gene. At the time, scientists were convinced that the rs1109303 variant might influence disease progression by affecting the expression of nearby genes, namely MYO1C, PITPNA, SLC43A2, and CRK. Gene expression is the process by which information in a gene is synthesized to create a working product, like a protein. However, at the time, they did not pursue this line of investigation further. Now, researchers in China have gone back to the original hypothesis drawn in 2015 and set out to investigate whether the rs1109303 risk variant could regulate the expression of nearby genes INPP5K, MYO1C, PITPNA, SLC43A2 and CRK. The team analyzed multiple large-scale expression quantitative trait loci (eQTL) data sets, including a total of 22 human brain and 34 non-brain tissue samples from healthy donors and patients with neurological disorders. Expression quantitative trait loci are specific locations within the genome that contain genes encoding for traits that can be measured in a quantitative way. The first eQTL data set from the Brain eQTL Almanac (Braineac) included 10 eQTL data sets from 10 brain regions of 134 healthy individuals. The second eQTL data set from the Genotype-Tissue Expression (GTEx) database included a total of 449 donors — healthy individuals (94%) and subjects with neurological diseases (6%) — with a total of 7,051 samples from 44 different tissues. And the third eQTL data set included whole blood data from three different studies involving 5,311, 2,116 and 5,257 individuals. Analysis of the Braineac data set showed that the rs1109303 variant was associated with an increase in the expression of the CRK gene in the occipital cortex — the visual processing center of the brain. In the GTEx data set, the rs1109303 variant was linked to an increase in the expression of INPP5K in the anterior cingulate cortex — an area of the brain that plays a role in regulating blood pressure and heart rate, and is also involved in attention allocation, decision-making, impulse control, and emotion. In the remaining 34 non-brain tissue samples from the GTEx data set, researchers also found an association between the rs1109303 variant and increased gene expression of MYO1C in the adrenal glands and esophagus and PITPNA in the heart. The rs1109303 variant was also linked to a reduced gene expression of INPP5K in the stomach and PITPNA in the aorta. In whole blood samples, the rs1109303 variant was associated with reduced gene expression of PITPNA and INPP5K. Further analysis revealed that rs1109303 was also able to regulate the expression of nearby genes in both non-brain tissue and whole blood samples. “Our findings indicated … that the rs1109303 variant influenced the expression of nearby genes in diverse human tissues and different diagnostic groups,” the researchers wrote. As a result, they cannot definitely conclude that the INPP5K rs1109303 variant regulates the expression of a specific gene, such as CRK. However, it has been reported that the human chromosome 17p13.3 region, where CRK is located, is linked to rare neurodevelopmental genetic diseases, “[which] may explain the potential mechanisms by which rs1109303 could affect the expression of nearby genes, PD [Parkinson’s disease] risk, and PD progression,” they said. Tagged CRK, disease progression, disease risk, eQTL, expression quantitative trait loci, genome-wide association studies, GWAS, INPP5K, risk variant, rs1109303 variant, urate levels.